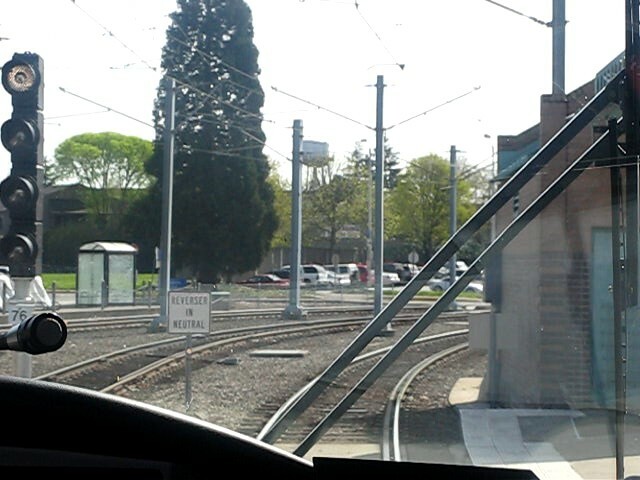 I found a picture that I’d taken a while ago of switches near Rose Quarter- it probably should have gone in my last post but I’ll put it here and make this a review post about switches and rail types. First: rail types. 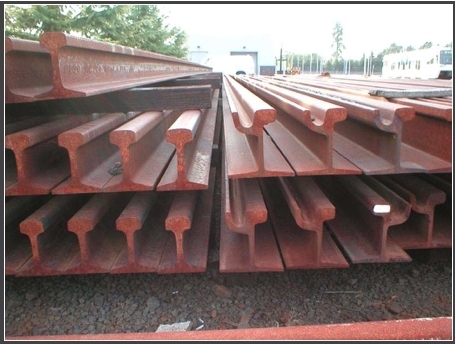 Borrowed picture which shows cross-sections of both types of rail used on the MAX alignment: t-rail on the left, girder rail on the right. 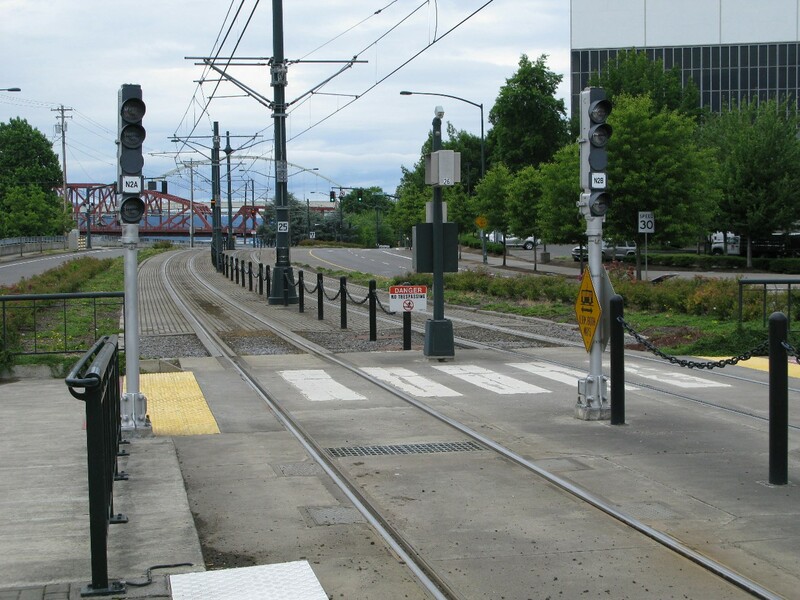 Girder rail is used in lower speed areas (CBD/downtown & Holladay, Washington Street in Hillsboro), and t-rail is used everywhere else. 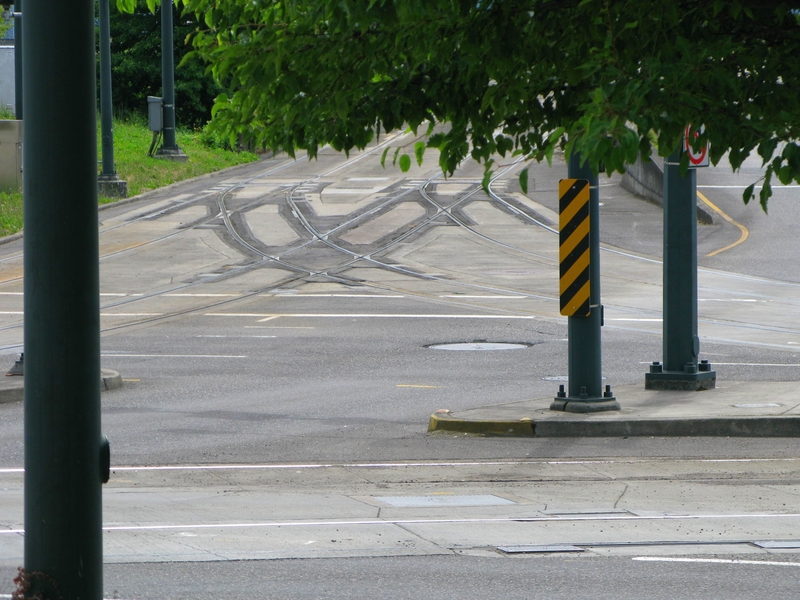 Along Interstate, the t-rail is embedded in pavement so it looks similar to girder rail. 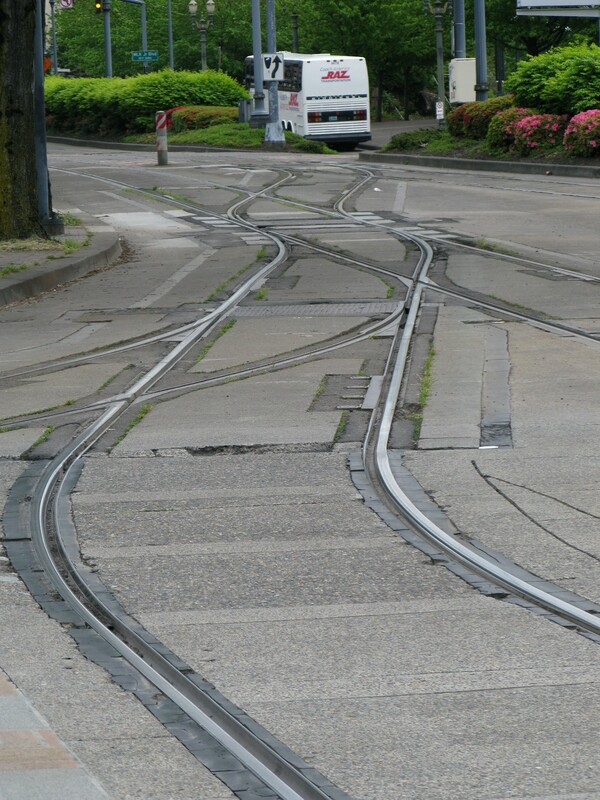 This picture shows the embedded rail on Interstate along with the crossover switches that are not embedded. 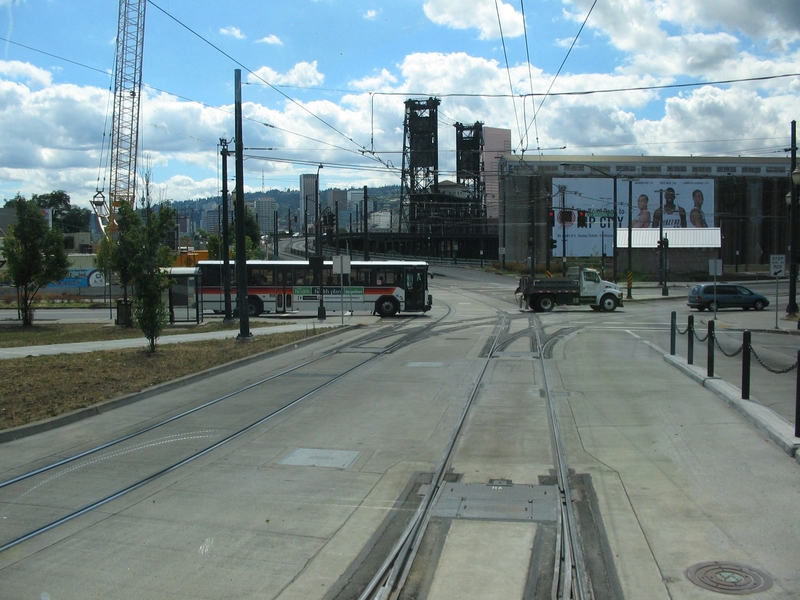 This picture shows the different routing options available on the eastern side of the Rose Quarter platform. 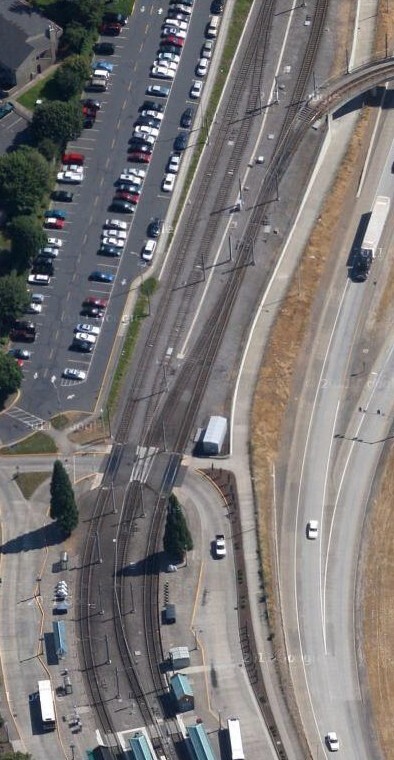 The nearest track is the westbound mainline, the one diverging off to the left side of the picture leads to the trolley barn, the one that’s actually a straight route from the westbound mainline is the special events track, and the far track is the eastbound mainline. 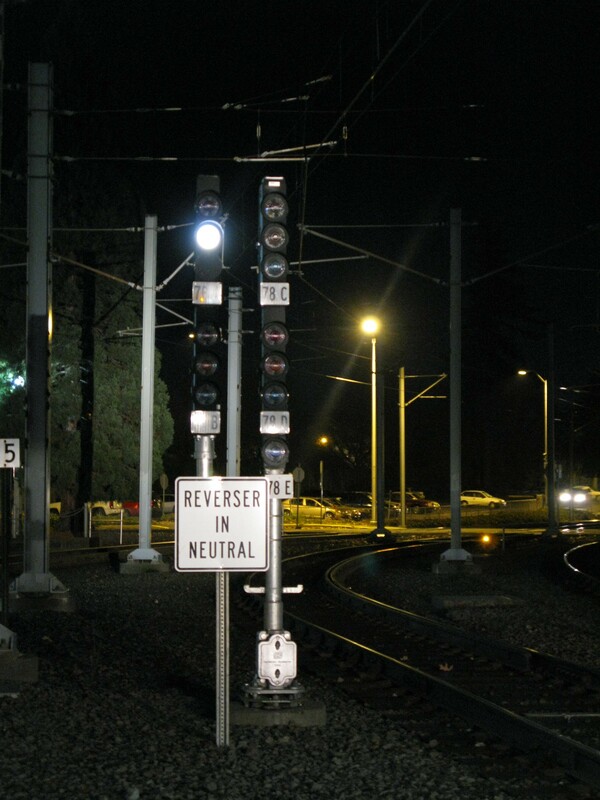 In this type of rail, the only way to tell how switches are set is by observing the switch points – while the ABS/combination signals associated with these switches tell you what the route is, it’s still necessary to observe that the switches are set properly. 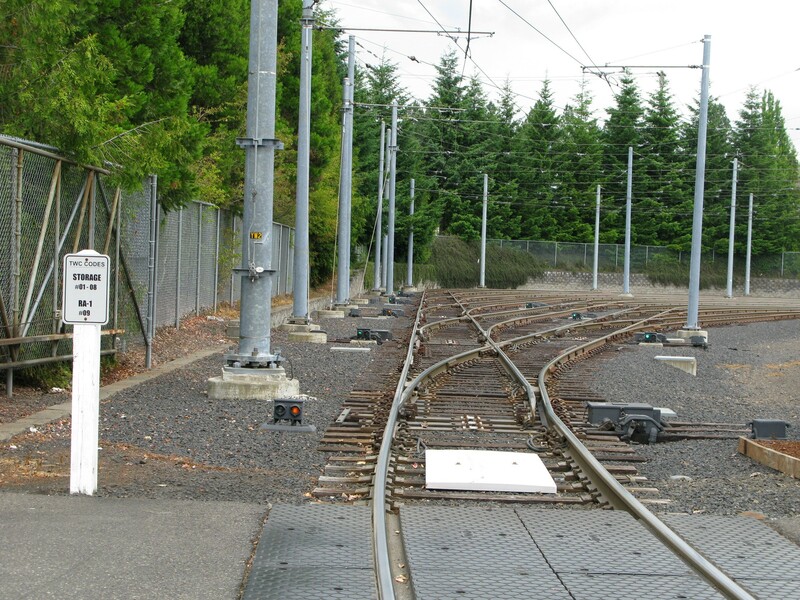 Compare the switches at Rose Quarter to these in the Elmo yard, facing the storage tracks. 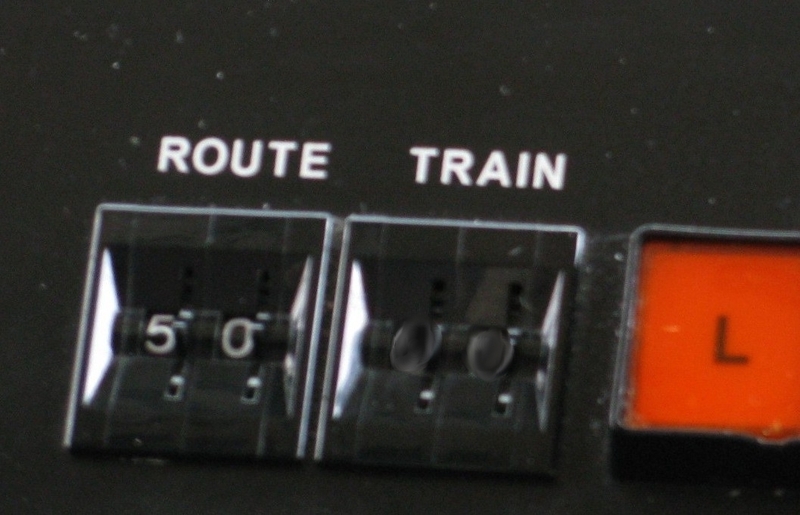 These t-rail switches are power switches, meaning they can be thrown remotely from the cab of a train, and they have switch indicators (green for switches set normal, yellow for switches set diverging – remember manual switches in t-rail use targets with the same colors). 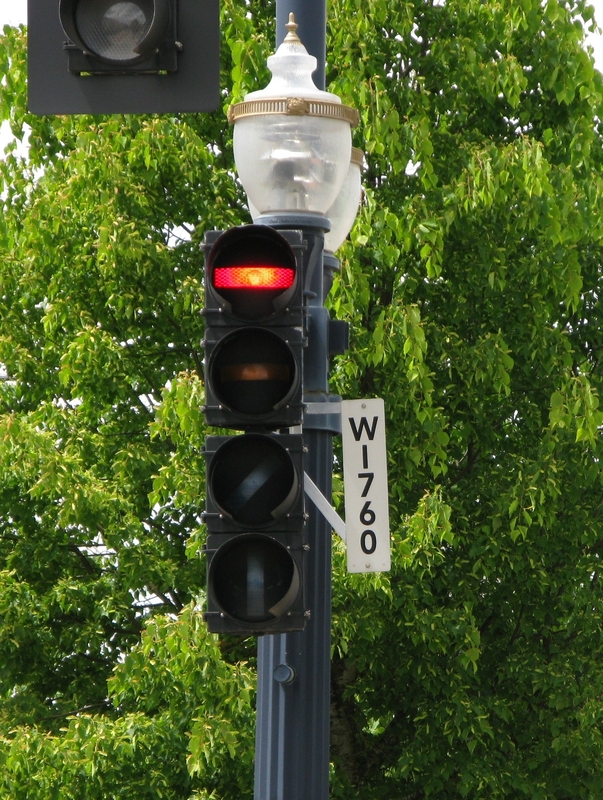 You can see how the color of the indicator matches how the switch points are aligned. 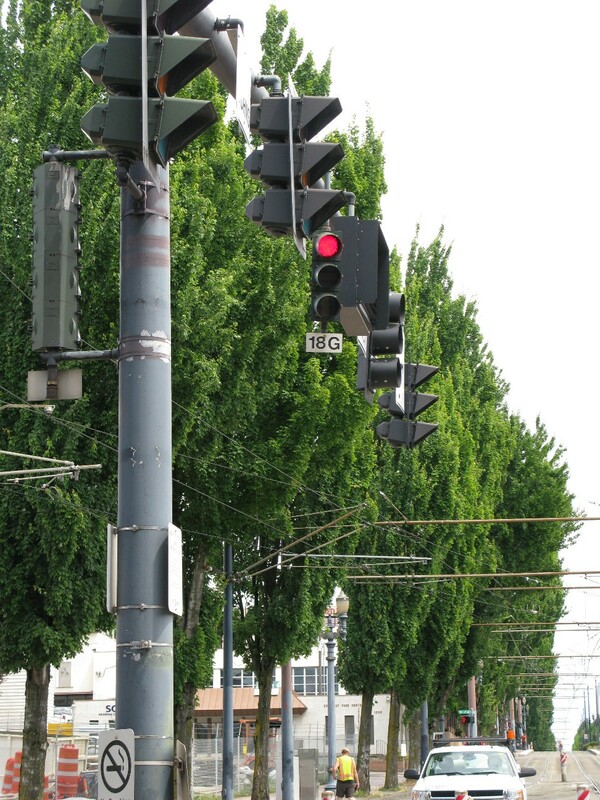 Girder rail switches don’t have indicators like these to make it easier to tell how the switch points are set, but even with indicators it’s still always necessary to observe switch points – an indicator can be wrong, but switch points never are. 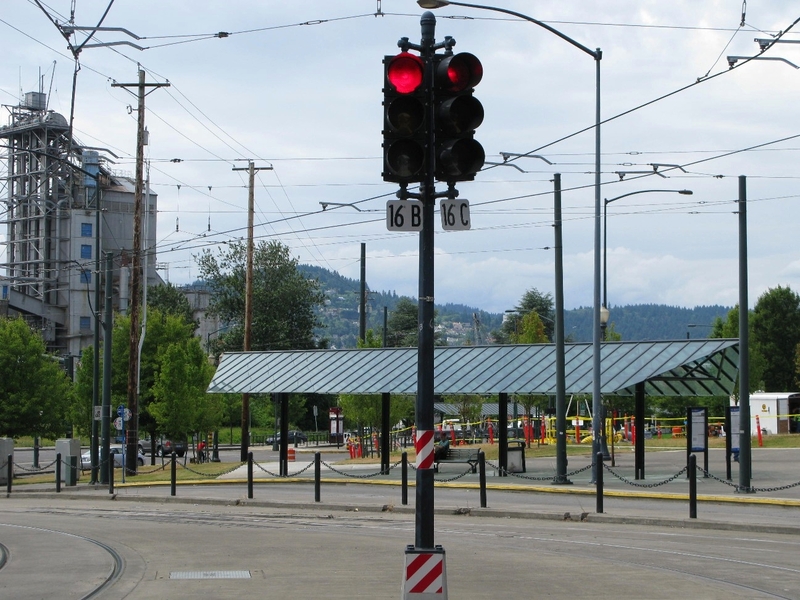 For reader Matt, who had asked about signals at Rose Quarter some 6 months ago and I’m finally writing about it. 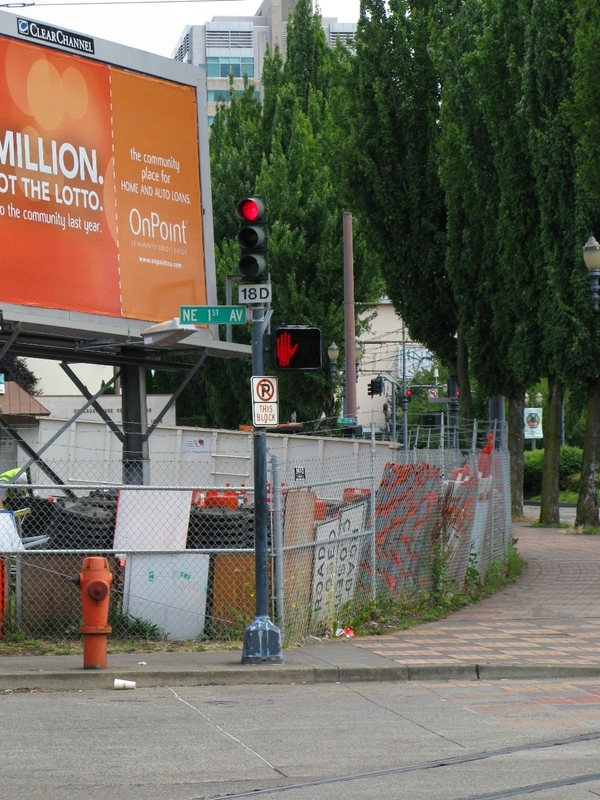 In other words, it’s a good thing “Professional Blogger / Fielder of Questions” isn’t what TriMet hired me to do. 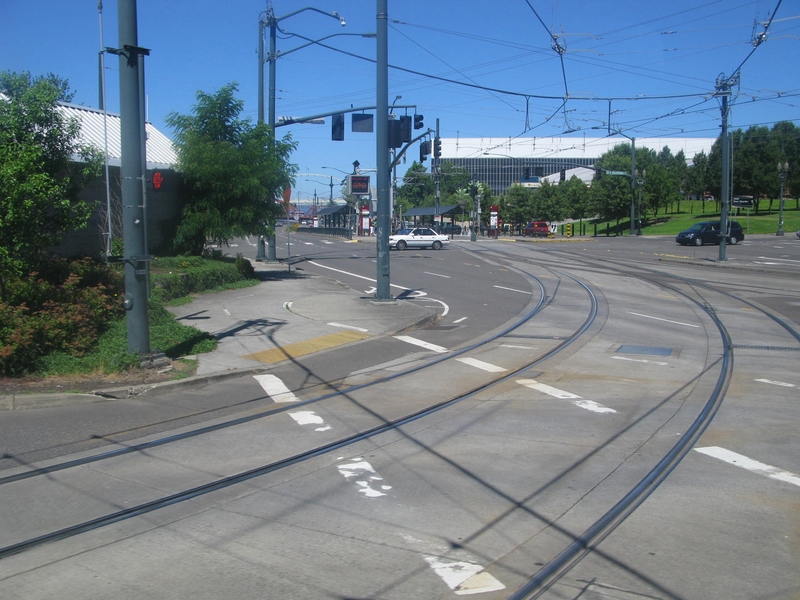 The Rose Quarter interlocking is very complex (I’ve heard it’s one of the most complex in the country, but I don’t really have much of a basis for comparison). I’d wager it’s probably also one of the busiest, with trains passing through every few minutes. 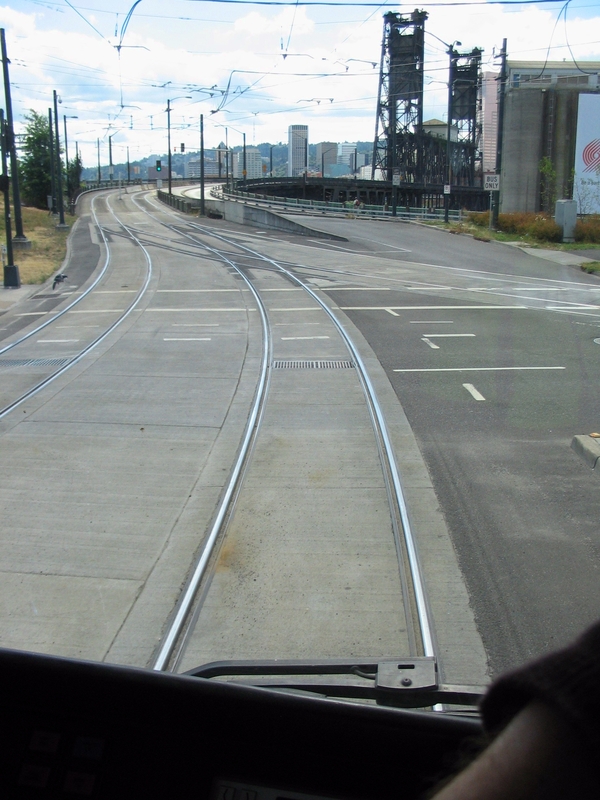 The complexity of this interlocking’s design allows for a lot of flexibility for trains in the event of a bridge lift or other reroutes. 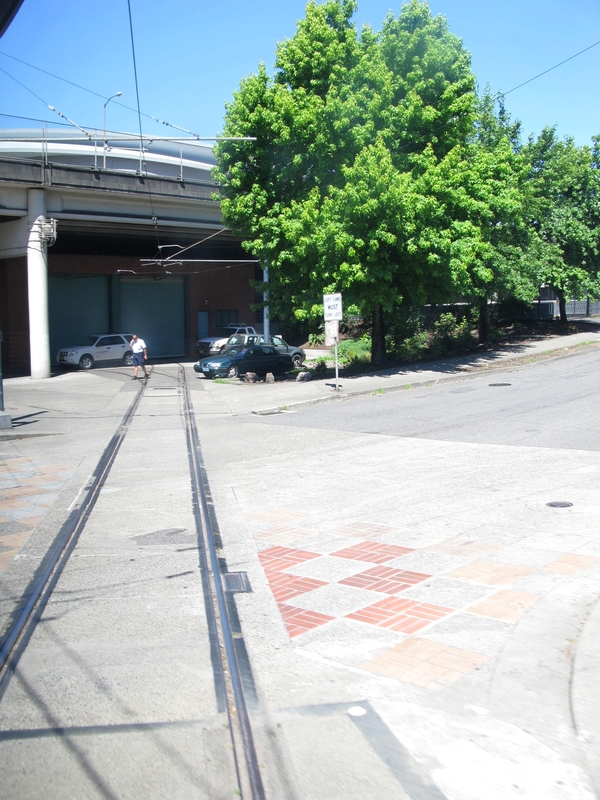 For simplicity, in this post RQ refers to the Rose Quarter platform used by Blue, Red, and Green Line trains. 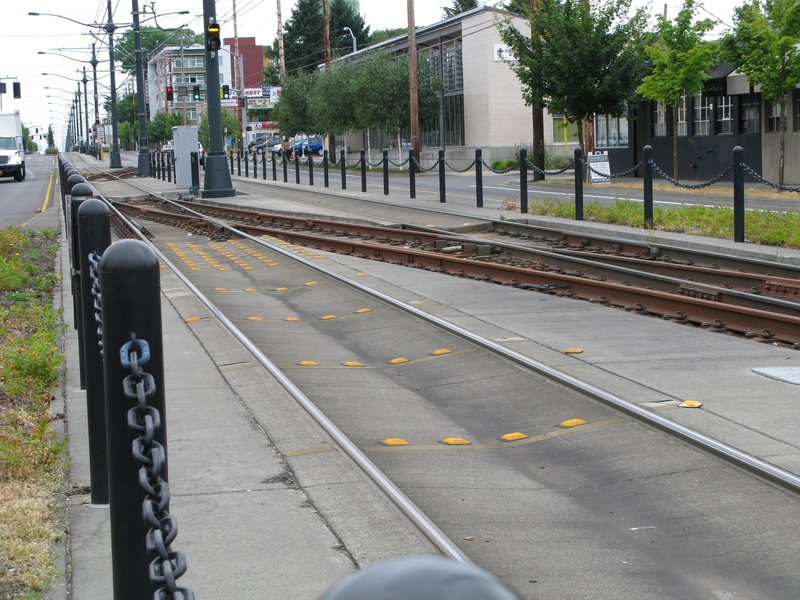 IRQ refers to the Interstate Rose Quarter platform used by Yellow Line trains. 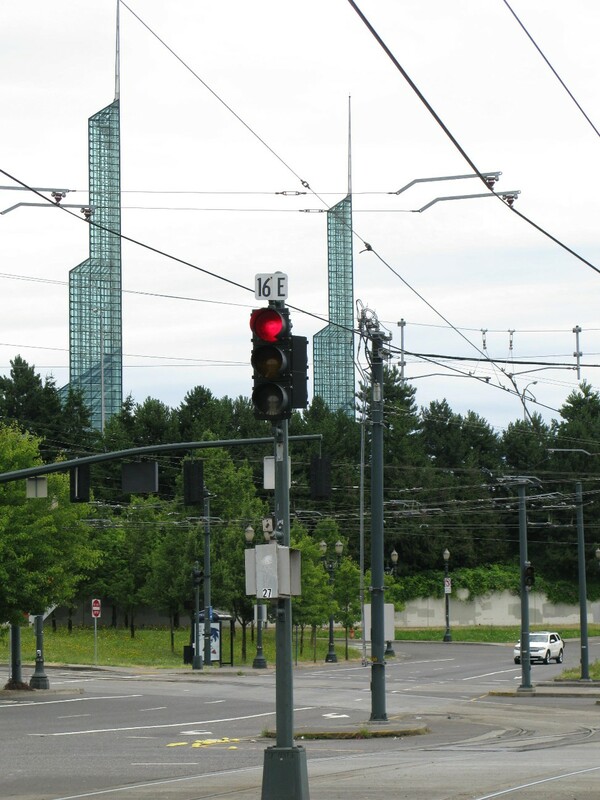 Starting with the signals associated with the Rose Quarter platform. 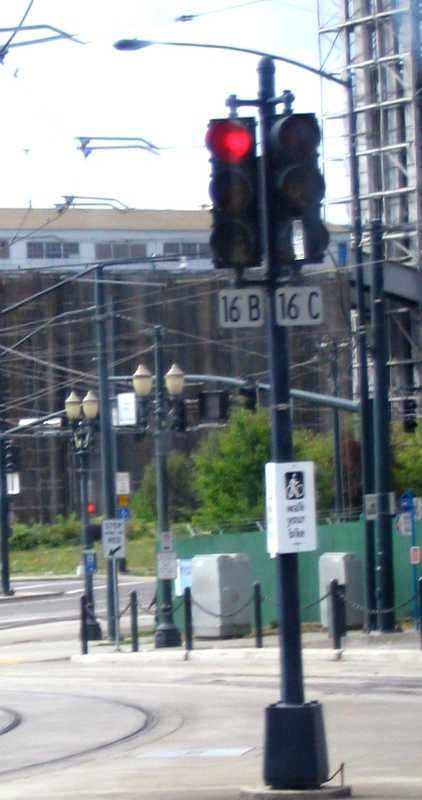 Coming into Rose Quarter from the east (Oregon Convention Center platform), the first signals you encounter are 18A and 18B. 18A protects switches 13A, 11C, and 11D, and will remain red with an active ATS magnet if any of those switches are not aligned to move west or if there is a conflicting move in progress (e.g. a vintage trolley coming in or out of the trolley barn). 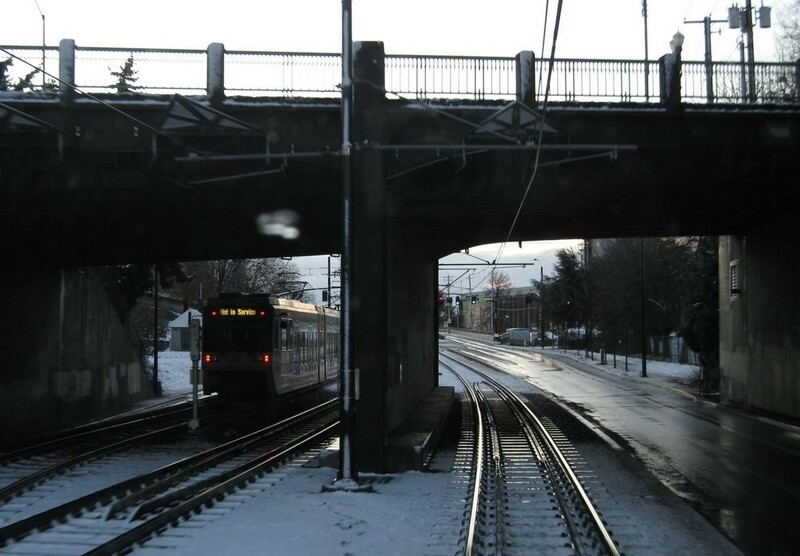 18B gives you a choice of routes between the special events track which is the middle platform, the westbound mainline track which is located to the right of the special events track, or the trolley barn. 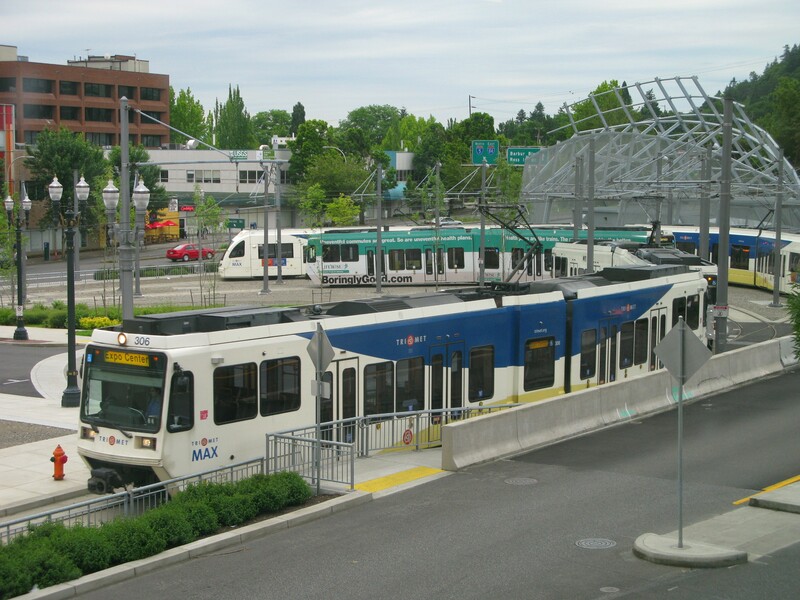 16B and 16C can display identical aspects for identical routes (remember, it’s not where you are, it’s where you’re going) – the only difference is that 16B is for trains heading west from the special events track and 16C is for trains in the westbound main. 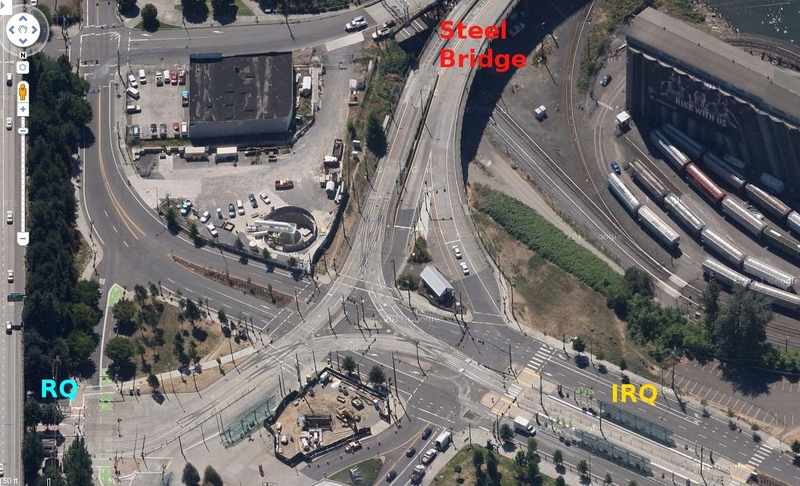 A white vertical will send you toward the Steel Bridge; a red over white vertical will send you toward IRQ (Yellow Line). 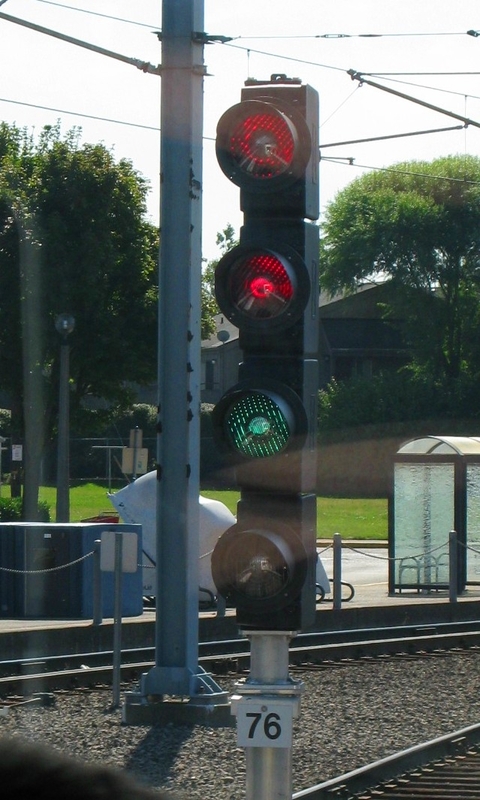 These signals will stay red if the bridge span is unlocked for a lift, or if there is a conflicting move in progress with the Yellow Line. 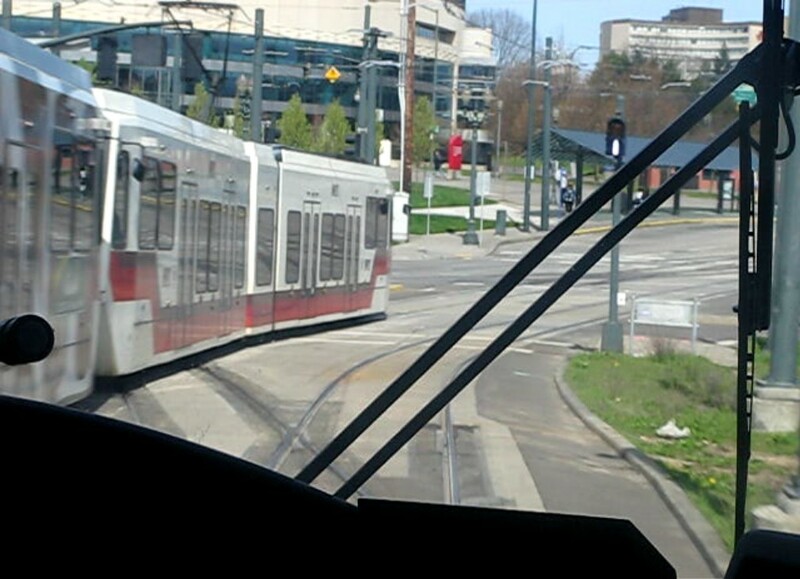 18D, which is used by vintage trolleys leaving the barn – a white vertical to continue to the eastbound mainline; a red over white vertical for a reverse move onto the westbound mainline. 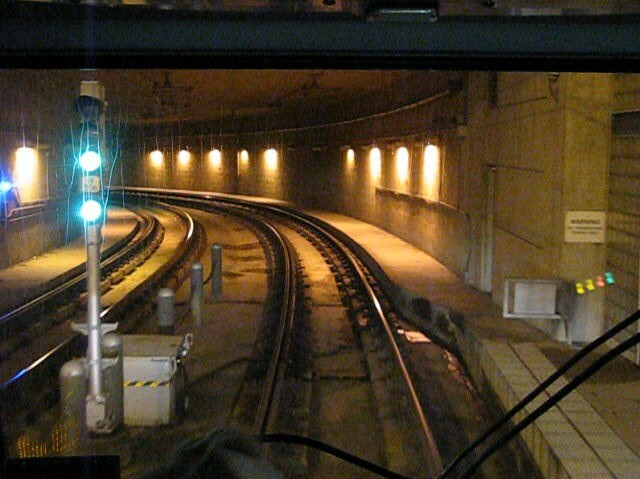 18E and 18F (similar to 16B and 16C) can display identical aspects for identical routes, with 18E used by trains in the westbound main and 18F used by trains in the special events track. A white vertical will send trains east on the eastbound mainline; a red over white vertical will send trains east on the westbound mainline. 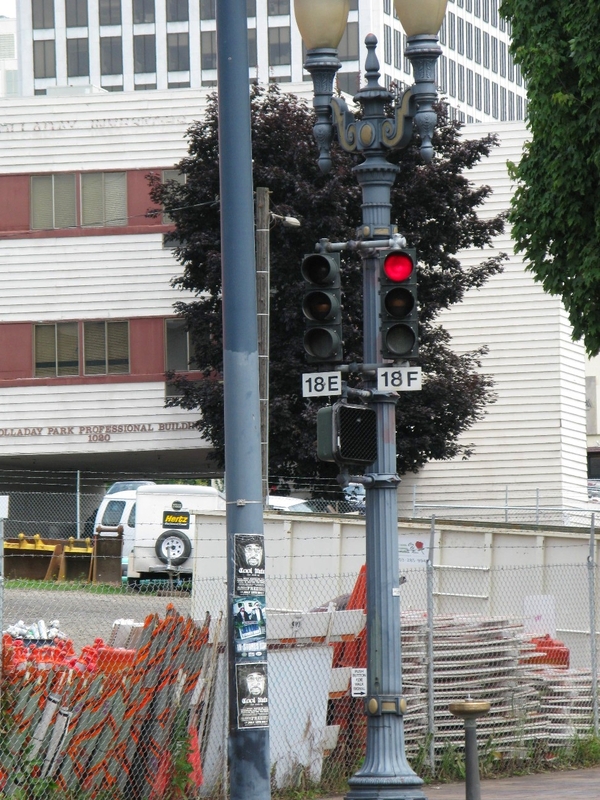 18G is the signal for eastbound trains in the eastbound mainline at RQ – no choice of routes available here. 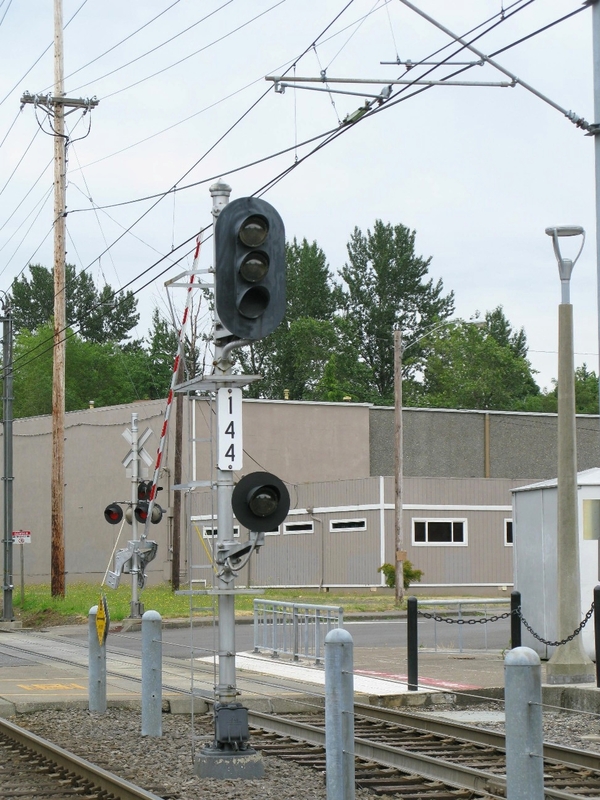 Memory trick for memorizing signal numbers (though I don’t think they do that anymore in rail training) – “G” for Gresham, and signal 18G will get you there. 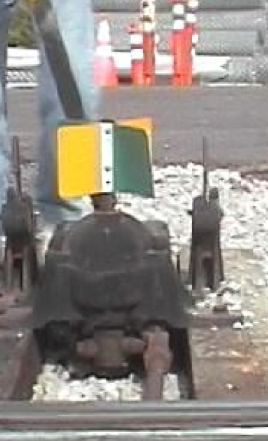 16E at the IRQ platform. 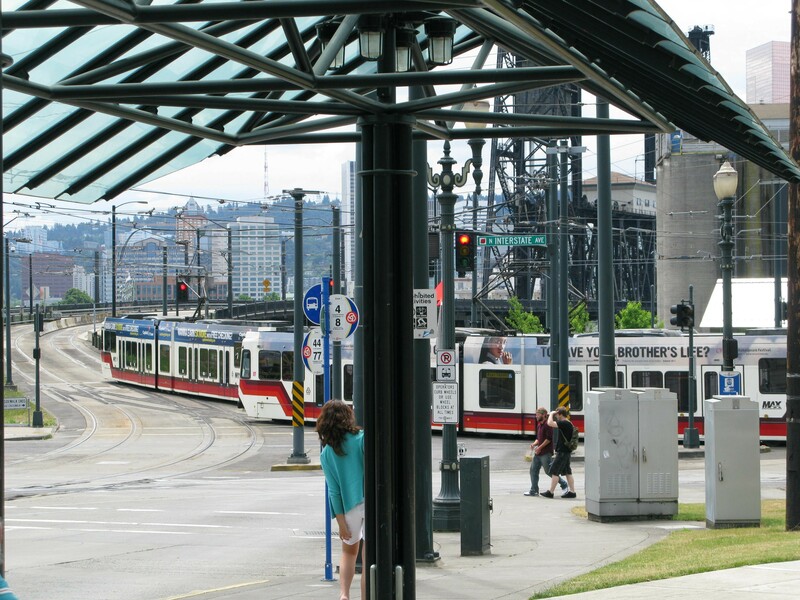 A white vertical on 16E will send Yellow Line trains over the Steel Bridge; a red over white vertical will send them into Rose Quarter. 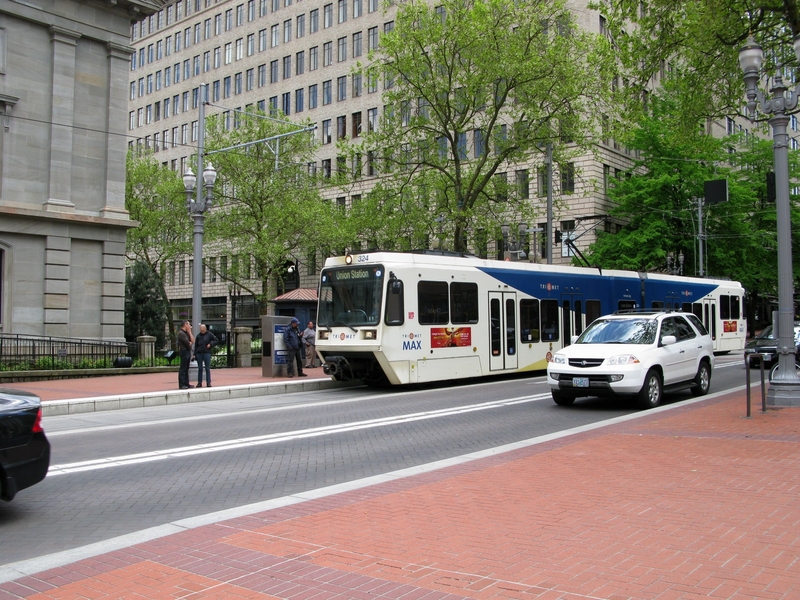 This is how Yellow Line trains can get from Expo to the Ruby yard at the end of the day. 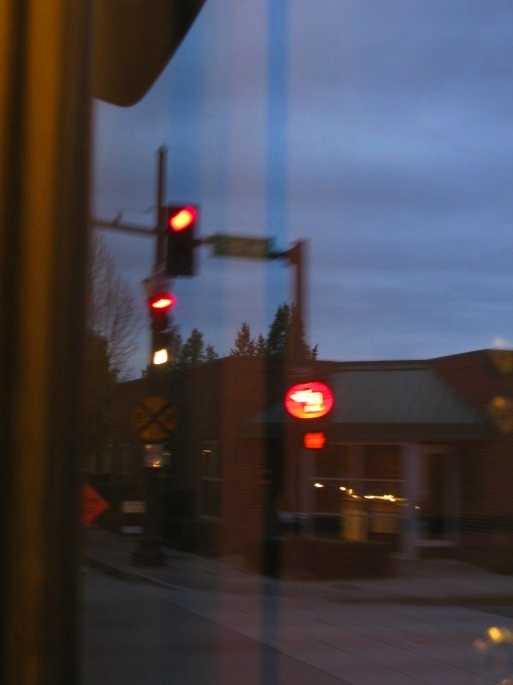 Also, when a Yellow Line train operator forgets to change the route code in their trailing cab from Clackamas’s 12 to Jackson’s 50, they get a red over white vertical here. 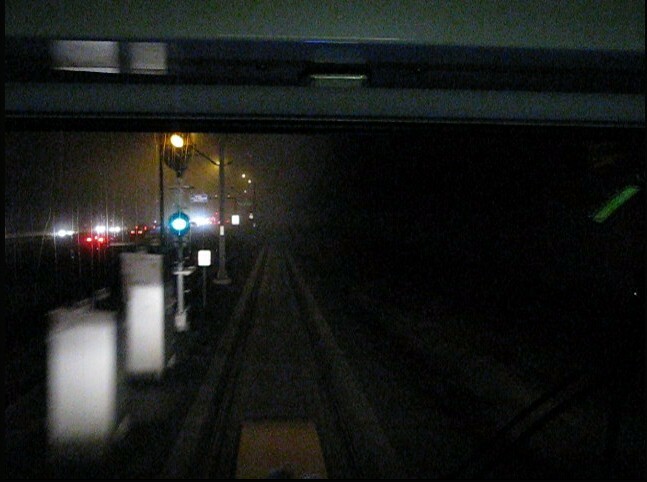 16G will display a lunar for trains heading into RQ (Blue, Red, and Green Line trains), and a red over lunar for trains heading into IRQ (Yellow Line trains). 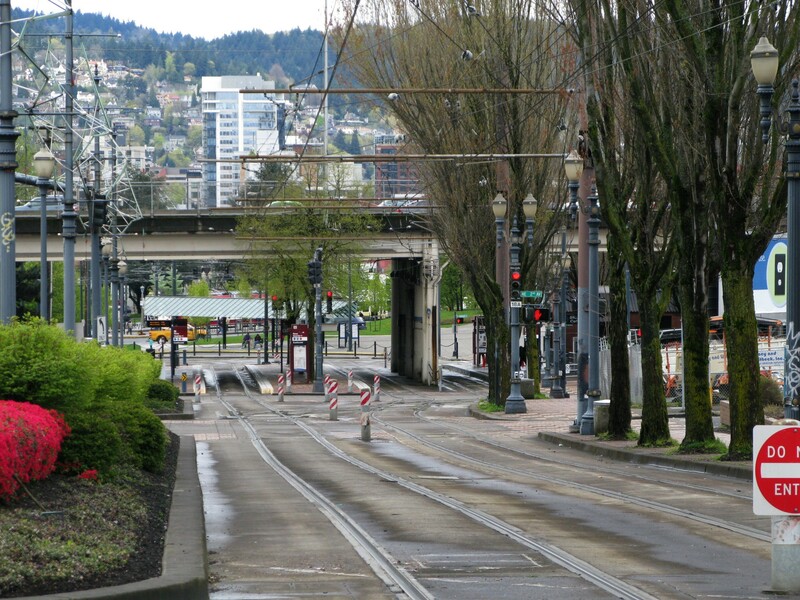 I also have this video which I’d originally posted a few months ago, showing a view from the cab from 1st and Morrison to Rose Quarter. 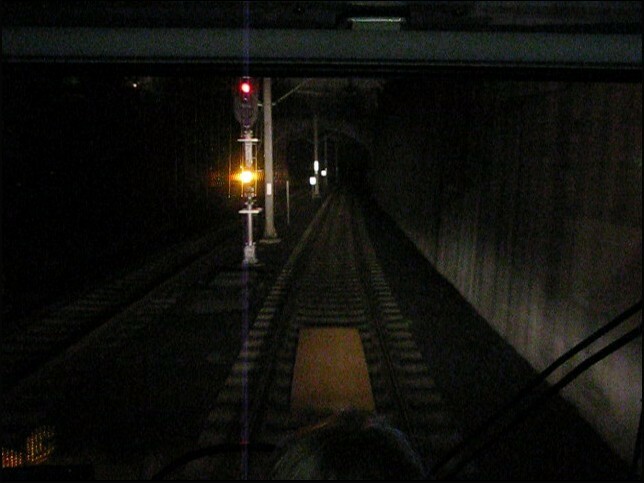 This was a Red Line train, so we got a lunar on 16G and went through the interlocking at the same time as another Red Line Train. 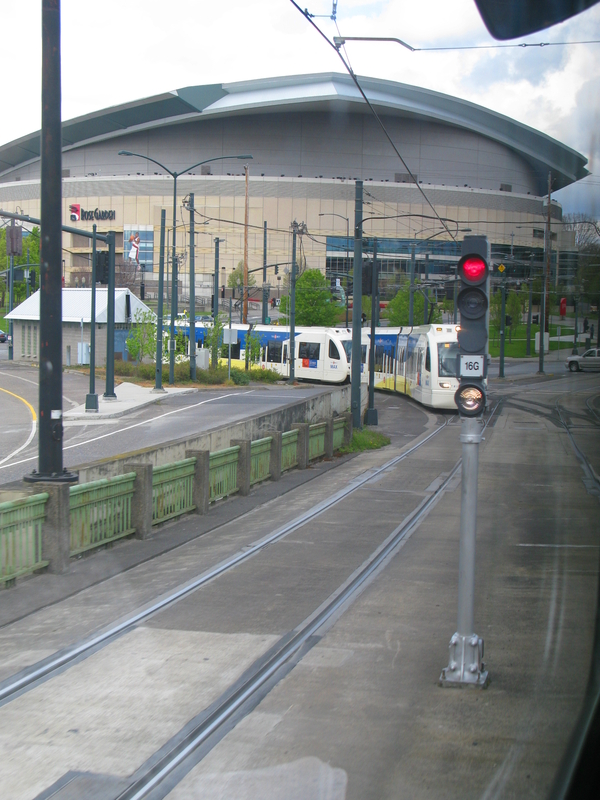 Given the design of Rose Quarter, what’s ideal for train movement are parallel moves, where trains can move in opposite directions at the same time. Scheduling trains to do this reduces the need to wait for other trains (e.g. 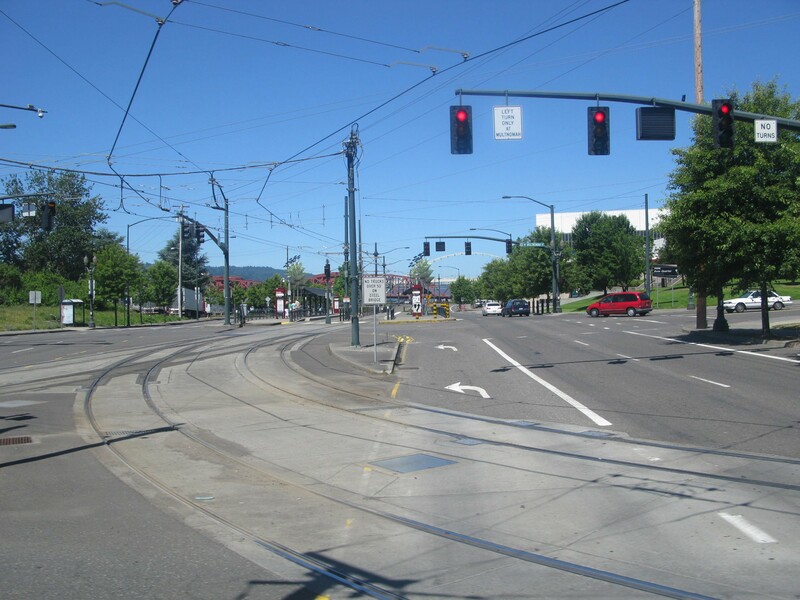 sitting at RQ waiting because a Yellow Line is going through, so the switches are set against you) as well as reducing the impact that trains moving through the intersection has on auto/bike/pedestrian traffic. From the “I forgot I had this” files (sometimes I have the memory of a goldfish). 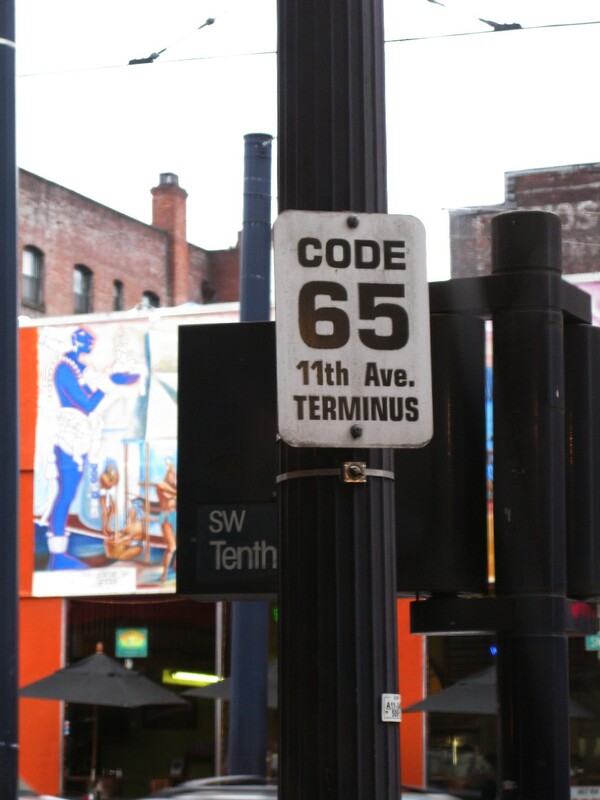 This is a short TriMet safety video about call boards and their use to protect workers in the right of way. 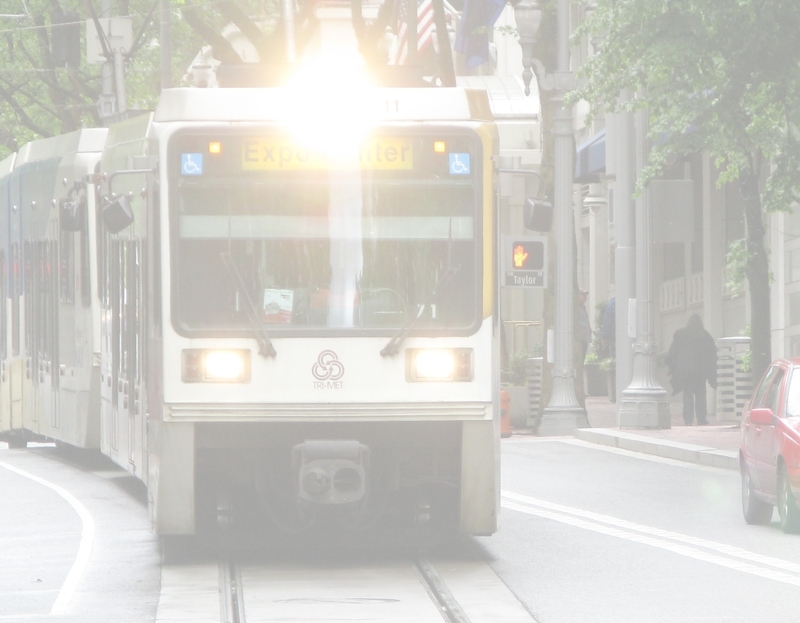 Safety at rail is not a joke and it’s never taken lightly because of how severe the consequences of a lapse in safety can be. I think it’s a good thing for the public to see things like this because ordinarily they don’t get the opportunity to watch how much effort goes on “behind the scenes” to keep things running smoothly and safely.